High Quality Edition of the Splendor Solis Being Published Spring 2019 – Zero Equals Two! 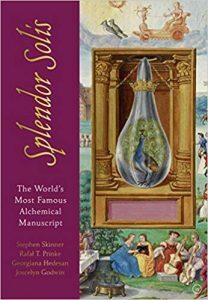 It’s just been announced that the only high-quality edition of the classic alchemical manuscript Splendor Solis, described as “the most magnificent treatise on alchemy ever made” – with a new and accurate translation (by Joscelyn Godwin) and full commentary by Stephen Skinner, Rafał Prinke and Georgiana Hedesan will be published in March 2019 but available for pre-order now. “The only high-quality yet affordable edition available of the classic alchemical manuscript Splendor Solis, described as ‘the most magnificent treatise on alchemy ever made’. Includes up-to-date commentary from experts in the field and a modern translation of the 16th-century text.